...The presence of seashells, such as spondylus and strombus, from the Pacific coast, at the archaeological site demonstrates that there were communication links between the peoples of the Pacific coast and those of the Amazon, such as the Mayo Chinchipe. "This latter group may therefore have played a major role in domesticating cocoa in general and the Nacional variety in particular." [snip] Digging through history to a time before agriculture, archaeologists from Cornell University and the University of California at Berkeley have found evidence of a village that was continuously occupied from 2000 B.C. to A.D. 1000 as well as hints to the secret of the community's remarkable longevity. Well, if I find chocolate, Im probably not going anywhere. The chocolate we consume is heavily laced with sugars that are added to overcome its bitter taste. Is this a recent recipe or has sugar been used continuously with cocoa? The earliest cultivation of cacao can be traced to ancient Mesoamerica, in which it served a religious, financial, and nutritional purpose. Um, I originally misread the headline, didn’t notice the “o” in “cocoa”. This is a MUCH different article than I expected. Bitter. It wasn’t sweetened until it got to Europe. Europeans added sugar to make the modern chocolate. Sugar is an old world entity. The ancient MesoAmericans did not have sugar, which was imported by the Portuguese to the Americas after Columbus. Perhaps sugar from cane was missing. Agave nectar, Yacón syrup, and Stevia leaves are sweeteners sourced from the Americas. Aztecs and Mayas kept stingless bees in hives before the Spanish arrived. They produce a sweeter honey than European bees but not in a comb and not as abundantly. The Mayans also had vanilla... which is the “bean” pod of an orchid native to the Americas. And break the tradition of FR? Actually, I did. My excerpt was bad, but I put the link in for how cocoa wasnt always sweetened. Apparently, Im a psychopath according to other articles because I dont use cream and sugar in everything. 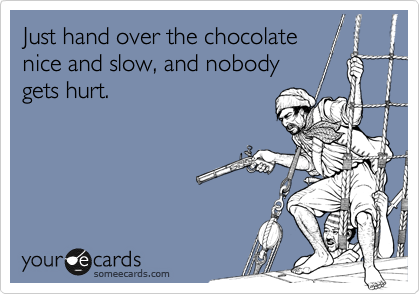 I do like dark chocolate and non-Dutch cocoa with chili. Theres something magic about that combo. You didn't notice that the whole point of the article wasn't psychopathy, but rather that the domestication of cocoa is from South America, not MesoAmerica as you stated, and 1500 years earlier?